If after reading this article you still have any questions, please feel free to contact us. Sign-up for an account on our website (from this page). If you already have an account, sign in to your account. Navigate to the Payment section of your account and add a payment method. Go to the Online Order page from BUY → Order Now menu at the top of our website. Add desired programs to your card and complete the order process. You will be provided with the software download link. Install the program(s). Once the payment is accepted, you will receive your ‘Activation Key’ by email; typically in less than 5 minutes after your purchase. Run the program and enter your ‘Activation Key’. That is it! In order for each computer to run our geotechnical programs, it need a ‘license’. A license is a permission issued by Novo Tech Software to use the program on a computer (read EULA). Therefore, if you have multiple engineers using a program, you need to purchase a license for each user (see below for ‘license transfer’ option). You receive up to 70% discount on the base price of the software when you purchase multiple licenses. Either case, you will receive your license immediately after your purchase, and you can start using the software right away! Here is how to activate your license. When you purchase a single license, an ‘activation key’ will be emailed to you in a few minutes. Copy your ‘activation key’ from the email; Run the program, and use it to unlock the software on that computer (you can find more information on this page). A Single License still benefits from upgrades and license transfer. With purchase of a Network licenses for a program, you will receive an ‘activation key‘ for your purchase. On each computer that you use the software, you enter the same ‘activation key’ to unlock the software on that computer. For example, if you purchased 5 licenses of NovoLAB software, 5 computers can use the ‘activation key’ to unlock NovoLAB. If a sixth computer tries using that ‘activation key’ the software will not be unlocked for that computer. A valid Maintenance Plan allows you to benefit from upgrades, license transfer, and support services. You can ‘de-activate‘ the software on one computer and use the same ‘activation key’ to activate the software on another computer, up to 2 times a year. Novo Tech offers 12 month of FREE Maintenance Plan for each program. The cost of Maintenance Plan for subsequent years varies from $75 to $225 a year (approximately 20% of the software price). The Maintenance Plan is automatically added to your order when you purchase the software, but you will not be charged until 12 months after the purchase. You can cancel your subscription to Maintenance Plan at any time by logging in to your account. A subscription to Maintenance Plan cannot be purchased later if cancelled by user. We strongly recommend that you maintain your subscription to the Maintenance Plan. The software will run on the licensed computer, and there is no time limit for using the software (the license is perpetual). When purchasing a ‘Perpetual License’, an annual Upgrades & Support subscription will be automatically added to your order. This is FREE for the first year, and a recurring charge starting from the second year. If you do not want to take advantage of the Upgrades & Support services you can cancel this at any time from your My Account page of our website. If you choose to not sign up for annual Upgrade & Support, you will not be able to switch the license between computers (‘floating’ feature). In order to use a newer version of the software you need to purchase a new license. In this model the purchase price is a fraction of the Perpetual License price, and your subscription will be automatically renewed every 6 or 12 months. The ‘activation key’ you receive, will activate the software on your computer for the period of lease. This is particularly suitable for short-term projects or for small companies where the program is required for a short period of time. The main advantage of this licensing model is that you are always entitled to the latest version of the software, without paying for the annual Upgrade & Support subscription. You will be automatically notified when a newer version of the software is available for download. No need for a new license or ‘activation key’. All set up once you install the new version! 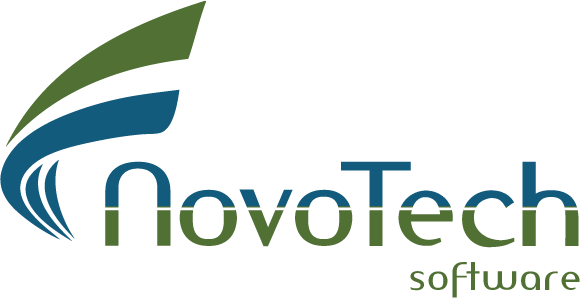 Novo Tech is known for its excellent support, affordable pricing, and flexible options. Our pricing model offers more discount when you order more licenses. For example a Network License with 10 users, has 70% discount (i.e. you pay the price of 3 base licenses but the license allows 10 users to run the program!). We offer various payment methods including Credit Cards, wire transfer, and PayPal. Most of our customers choose convenient online payment for fast delivery. We accept Visa, Debit, American Express and other major credit cards; however you don’t need a PayPal account for your payment. For wire transfer please ask us for details. For complete terms and conditions of using our geotechnical programs please see our End User License Agreement. By installing the programs on your computer, you agree to our End User License Agreement.